Zach Swaim and I have just returned from a 6-week excursion to the deep south, to further incorporate and expand marine mammals studies into the epic Palmer Long-term Ecological Research (LTER) Program during its annual cruise along the Western Antarctic Peninsula. Through a combination of visual surveys, biopsy sampling and opportunistic acoustic recordings, my overarching goals for this cruise were to 1.) 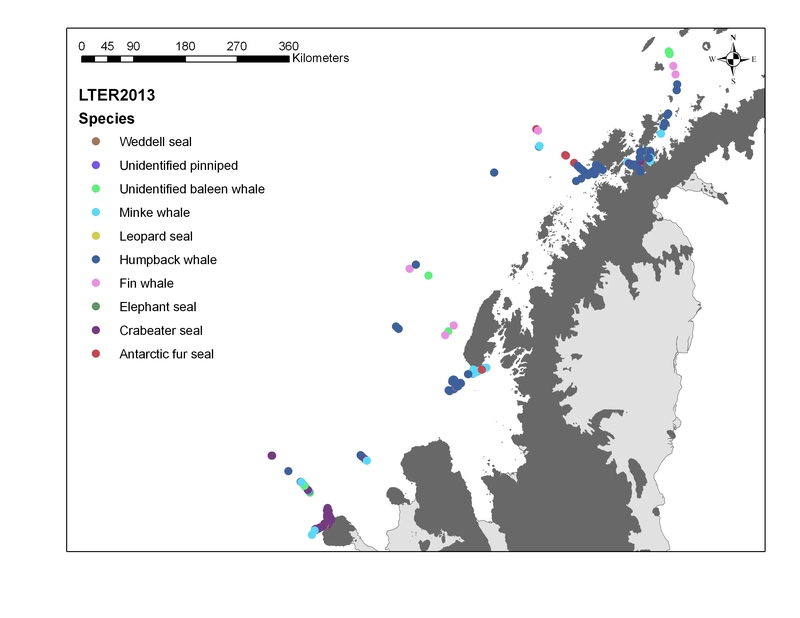 better characterize the density, distribution and stock structure of marine predators within the LTER study area and 2.) Develop protocols for efficiently incorporating visual, photographic, biopsy and acoustic sampling into the LTER cruise. Ultimately, I wanted to fill every nook and cranny of negative space on the timeline of this cruise with whale work – meaning that, when the ship was not being 100% utilized by the standard LTER science ops, I wanted turn those unused percentage points into useful marine mammal data. Below you will find a brief overview of the cruise with some details on how well things went with our whale work. In a word though, I’d have to describe it as awesome. Firstly, I have to say that we worked with some of the most amazing people I have ever had the chance to sail with. The cast of regulars on the LTER project – Hugh Ducklow, the PI from Columbia; Oscar Schofield from Rutgers, Debbie Steinberg from VIMS and Donna Patterson/Bill Fraser from PORG really made us feel welcome as we boarded and set up shop on the ship. Their support of our efforts was integral in getting our work done. Perhaps most interestingly, a duo of filmmakers/photographers (Dena Siedel from Rutgers and Chris Linder from WHOI) constantly captured our efforts for a new movie funded by NSF. I also wanted to thank the rest of the scientists on the cruise, who helped us collect our data both on the big boat and in the zodiacs. In particular, Jen Mannas, Josh Stone and Cameron Rutt were great support spotting whales on the bridge. Thanks! 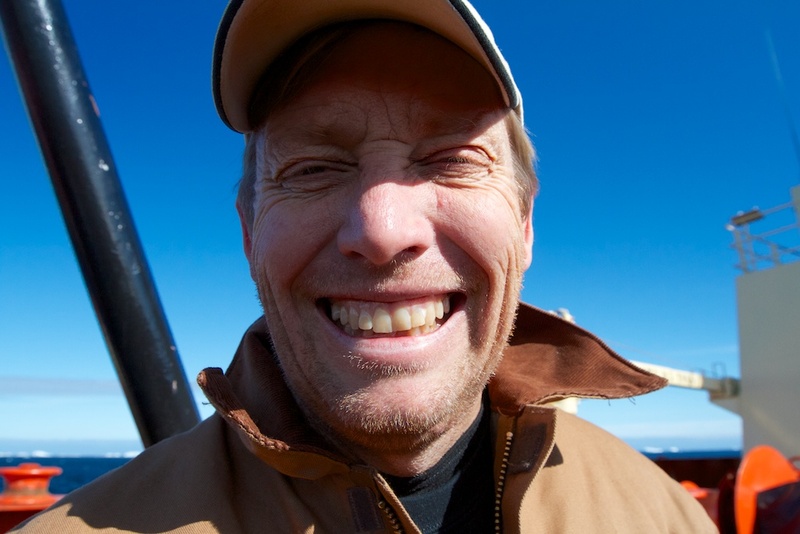 We started off in Chile aboard the ASRV Laurence M. Gould (a familiar ship from our first MISHAP cruise in 2009) and scooted across the Drake Passage in fine form – hardly broke 20 knots of wind on that crossing! We surveyed for whales down through the Gerlache Strait, up the Bismark Strait to Palmer Station, where we unloaded some people and gear, loaded some other people and gear, and then headed out on the LTER cruise itself. The LTER cruise is now a combination of nested, grid-based mesoscale oceanographic and ecosystem sampling along the shelf of the WAP coupled with other fine-scale, more adaptive “process study” sampling that occurs proximate to penguin colonies and undersea canyons. 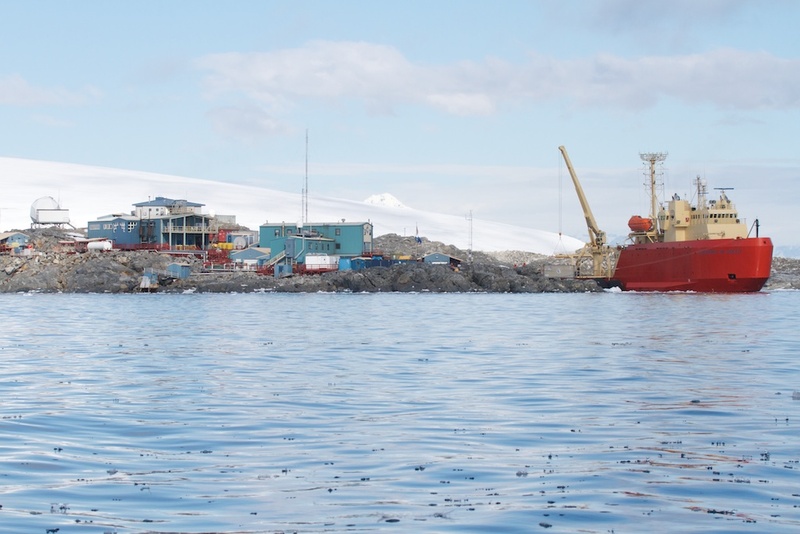 The majority of the work occurs over the continental shelf of the WAP and the grid of sample stations extends from the 600 line at Palmer Station (about 65 degrees south) to the -100 line near 70 degrees south around Charcot Island. A great description of the LTER grid is available here. 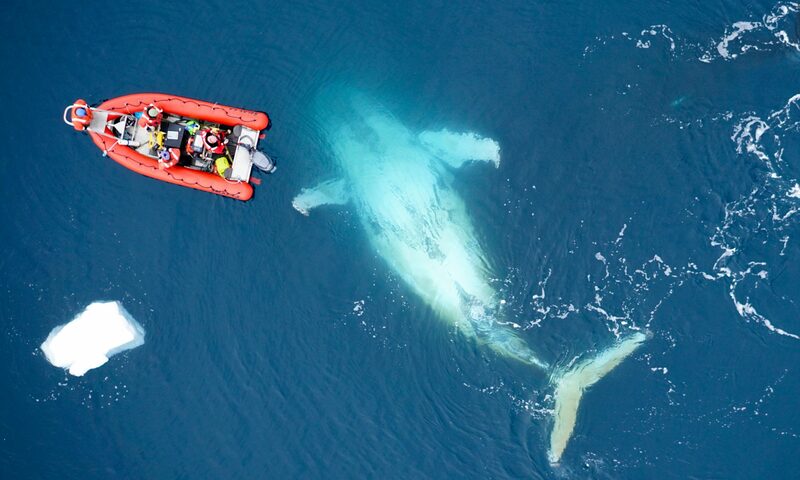 The science conducted on the LTER cruise spans physics to top predators, with 24 hour operations that use the full suite of scientific gear available for this type of work: net sampling, bioacoustics, CTD casts, ocean gliders – if you can name it, it was dipped, soaked, dropped, towed or otherwise deployed/recovered on this cruise. 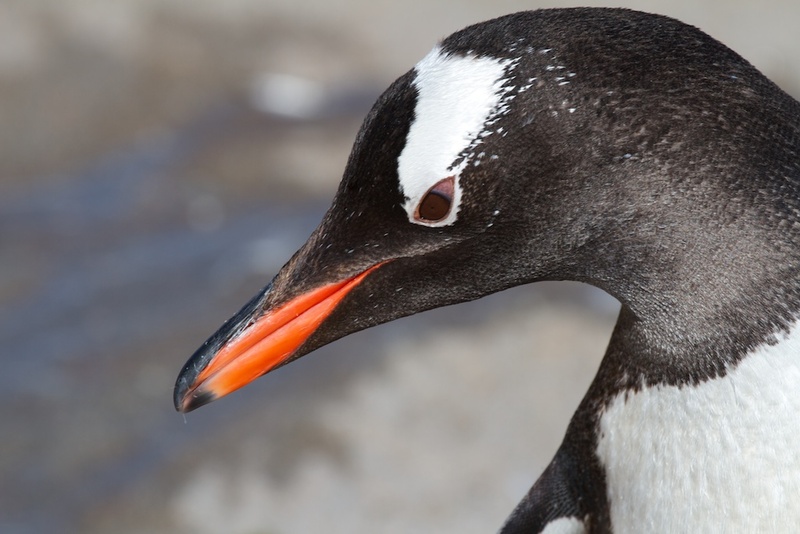 The primary marine predator work has focused on Adelie penguin colonies at three locations: Anvers Island/Palmer Deep; Avian Island and Charcot Island. 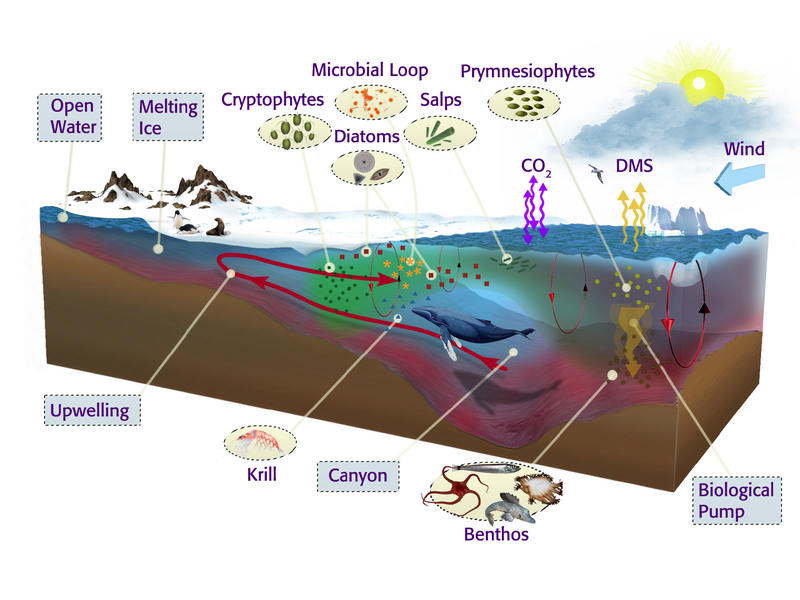 We were aiming to expand that to cover the guild of marine mammal krill predators in the region – cetaceans and pinnipeds. During the cruise, Zack and I were a continual presence on the bridge of the Gould, conducting standardized line transect sampling for marine mammals or collecting less structured opportunistic sightings whenever possible. We used digital SLR cameras with some big glass to capture photos of humpback whale flukes from the Gould bridge wings whenever we could, but mostly we waited for opportunities to splash the zodiacs and get up-close-and-personal with humpbacks for photos and biopsy sampling. We collected sightings on the grid lines as we moved south from Palmer Deep, and launched the zodiac frequently at each of the process study regions for our photo and biopsy work. A nice blog that describes our biopsy work can be found here. The raw fruits of our labor were impressive: 45 biopsy samples of humpback whales, 331 sightings of groups of marine mammals, including sighting over 1800 crabeater seals in a 20 sq km region in the vicinity of Charcot Island. Some initial figures are included here to illustrate what we got done. We worked hard, but had a lot of fun too. 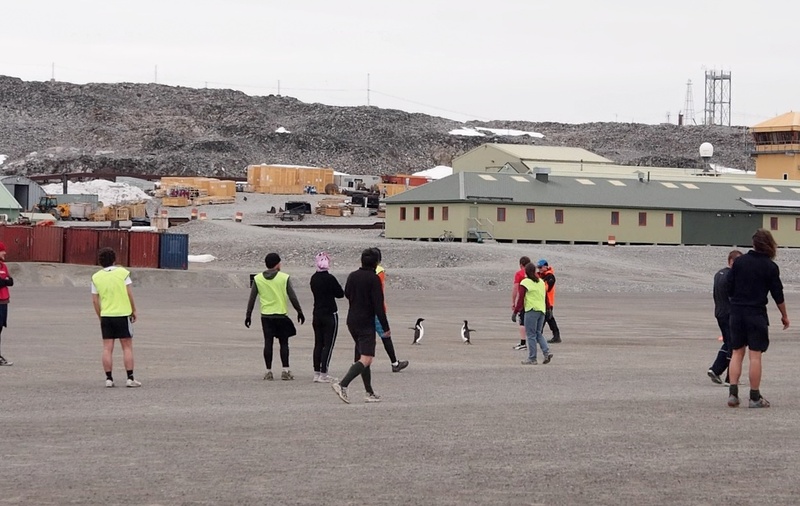 Some highlights for me: encouraging our zodiac driver to back us out of a humpback bubblenet before we got the Jonah treatment and – top of the heap – playing soccer at Rothera Station against the Brits. We lost, but how awesome is it that I can now add to my CV the fact that I have represented the U.S. in an international soccer match! Next PostNext Spinner article in Natural History magazine!